A new book probes the improbable success of the city. Las Vegas is a problem that won’t go away. Though the city has lately suffered the highest foreclosure rate in the United States, and its largest development, the $8.5 billion CityCenter is struggling to make its loan payments (even with the help of the troubled financial behemoth Dubai World), Las Vegas is now so deeply embedded in the collective American imagination that you might say it’s too important to fail. And it’s got a history of survival: years ago, in the late ’70s, when tribal gaming was being legalized and casinos were cropping up on reservations from California to Connecticut, the odds makers said it would kill Las Vegas. The town shrugged and since then it’s doubled its numbers of visitors and residents. What about water? A good question. Many think the city will sooner or later succumb to thirst, metastasizing as it does into the Mojave, the most arid of North American deserts. Lake Mead, the nearby reservoir on the Colorado River created decades ago with the construction of Hoover Dam, and the primary source of the city’s drinking water, has seen its water level drop precipitously in recent years (it is now at less than half its capacity). The response of Patricia Mulroy, general manager of the Southern Nevada Water Authority and arguably the most powerful non-elected official in the Western U.S., was fourfold. She renegotiated the federal pact governing Nevada’s allocation of Colorado water; called for lowering the intake pipe that draws water from the reservoir; commissioned a plan to tap the aquifers in a region of several hundred thousand square miles; and initiated a policy of offering incentives (one dollar per square foot) for digging up lawns and replacing them with desert landscaping (grass lawns are now the largest source of wastewater in the Las Vegas Valley). More examples of the will-to-survive abound, but the real deal is the gambling: Las Vegas is at the center of an impressively efficient, extractive industry that sits atop a very large pyramid. All around the world people work hard to turn resources into goods and get paid for their efforts. A lot of them bring their earnings to Las Vegas and insert them into games that at a minimum gross five to ten percent (slot machines) and at a maximum more than fifty (craps and roulette). The house — that is, the city of Las Vegas — never loses. In fact the city generates so much cash that it can afford every decade or so to turn itself inside-out and refashion itself in response to shifting market demands, as in the 1980s, when the city flipped the Strip from a string of parking lots with big neon signs (that attracted drive-by traffic) to a street fronted by themed casinos that were themselves the signs (and would pull in pedestrians). Las Vegas is an urban engine fueled by entertainment, by a potent blend of gambling, spectacle and shopping, nicely sanitized by the term “gaming” — though of course that suggests also the business of scamming. The market forces that drive this synergistic industry are diverse, ranging from the age-old impulse to want something for nothing to ever-shifting consumer trends —micro-momentary desires for what’s new. You could say that Las Vegas is as much a conditional situation as a city, governed by the constant fluctuations of style, always morphing from now to next. In Cadillac Desert, Marc Reisner quotes the old Western saying, that water flows uphill toward money. Most likely Las Vegas won’t lack for money for long; it isn’t a problem the way, say, rust belt cities are problems, their industries dying or gone. No, Las Vegas is a problem because it defies common sense, conventional wisdom and every value cherished by the faithful of all creeds, whether organized religions or the environmental movement. That the city endures guarantees a growing body of literature analyzing its many dimensions, from physical to metaphysical. Nicole Huber and Ralph Stern have given us the newest addition to this growing library: Las Vegas is a compact and thoughtful primer on the urbanization of the Las Vegas Valley, in particular on that very recent moment of frenetic over-development, right before the city fell off the cliff of the financial crisis. Published in a modest landscape format — well suited to vistas of a horizontal city in a desert — the book consists of a long essay by Stern and Huber and several dozen photographs, also by the authors, taken from 2005 to 2008. 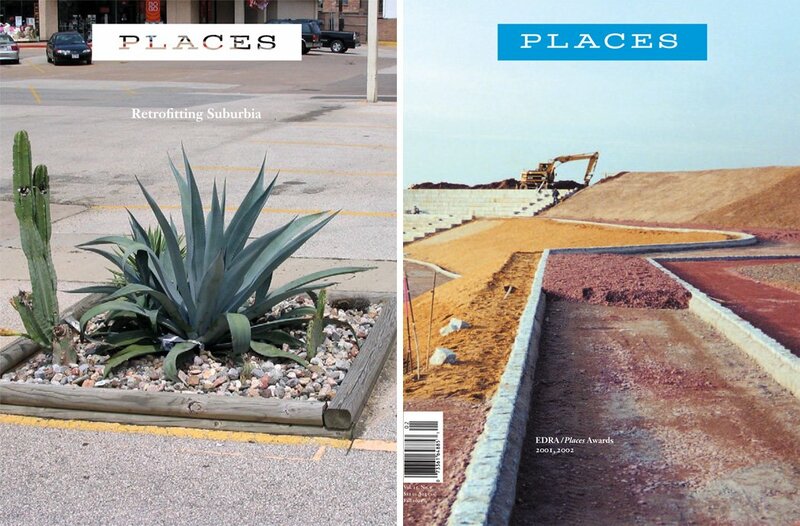 In both text and images the authors focus on three dichotomies, or tensions: first, the tension between the famous Strip and the rest of the city, or between what historian Patricia Nelson Limerick calls “landscapes of success” and “landscapes of failure”; second, between the ongoing erasure of the past, the literal demolition of building after building, and the endless quest for an ever-new future; and third, between the rapidly expanding metropolis and the “extreme and extremely fragile” natural environment of the desert. If the authors leave us wishing for more prognostications about the future, this isn’t their fault. Las Vegas is an event horizon in American society; simply to understand its current situation, much less to predict what comes next, takes thoughtful and tenacious scrutiny. It’s no accident that the Situationist Guy Debord and his 1967 book The Society of the Spectacle are invoked by almost every contemporary author attempting to understand the place. Debord famously posited spectacle as the final manifestation of mature capitalism built upon consumption, and Las Vegas has long occupied the architectural apex in that formulation. Lately Dubai has outdone Las Vegas in built spectacle; were it not so expensive, it might be a real contender to surpass the city. But in any case the spectacle that is Las Vegas doesn’t really consist of any single architectural simulacrum or even the whole ensemble. The real spectacle is the city’s ability to perpetually reinvent itself and to defy easy labeling — and all at prices affordable to the masses. Nicole Huber, an urban historian and theorist, and Ralph Stern, an architect based in Berlin and Las Vegas, never directly cite Debord, but their text signals his presence. In the very first sentence they refer to the “spectacles of the Las Vegas Strip,” even as they assure us that they will move beyond that well-trod territory. And throughout they use terms — interstitial, transition, ephemeral, semiotics — that alert us to the fact we’re in an academic arrondissement inhabited by Debord and his mid-century comrades. Happily for the reader, other influences also occupy this neighborhood. Huber and Stern make good use of terms borrowed from geography, including resource extraction, militarization, and xeriscaping. As in many books dealing with Las Vegas, Robert Venturi and Denise Scott Brown are here, along with the architectural historian and critic Reyner Banham. Banham was living in Los Angeles and exploring the Mojave in the late ’60s and early ’70s, just as Venturi, Scott Brown and their colleague Steve Izenour were conducting the Yale studio that would result in the phenomenally influential 1972 Learning from Las Vegas. Venturi and Scott Brown used a formal East Coast methodology in their analysis of the Strip, parsing it into their now-famous “ducks” and “decorated sheds.” If a building were an architectural trope for its function — a fast-food joint shaped like a hotdog, for example, or a casino that mimicked a Roman palace — it was a duck. If it was a bland foursquare box surrounded by parking, with a big, blinking and colorful sign out front carrying the semiotic load, it was a shed. (Las Vegas has, as noted, reversed the pattern, putting the parking in the back and turning the buildings themselves into the come-ons, making the shed/duck distinction mostly irrelevant.) Banham brought to the discussion a serious understanding of the Mojave and an appreciation of road-trip psychology. Like Venturi and Scott Brown, he knew that you had to drive through the horizontal city to understand it, to assemble the frames of what was really a filmic reality. One of the pleasures offered by Huber and Stern is to remind us of the pioneering work done by the urban planner Kevin Lynch, who in the early 1950s advocated analyzing urban sprawl through the car window, which he compared to a cinematic frame. 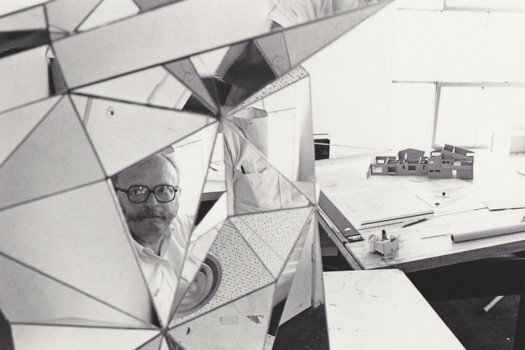 Venturi and Scott Brown adopted Lynch’s space-motion and view diagrams in their work, and they recognized, as did Lynch, that urbanism is a study in both space and time. Huber and Stern understand that future analyses of Las Vegas need to move beyond comparisons with Los Angeles and other southwestern cities such as Phoenix. As the casinos have matured, they’ve grown into or become part of global corporations; after marketing Las Vegas to Europeans and Asians, theses corporations then built casinos from Australia to Macao. The authors rightly enlarge the discussion by citing the work of cultural critic Ackbar Abbas, who contends that globalization domesticates what was once exotic and in this way makes the strange seem strangely familiar. Maybe the improbable process of creating a sprawling fantasy city in the middle of the Mojave will begin to seem less like an anomaly and more like the rest of the world. Again, think Dubai. Though this does not bode well for the future; in fact it means a massive misuse of resources that will lead us to a dead planet. But of course Las Vegas is about not only extraction but also distraction: the showy city is in effect a barrier between ourselves and a reality we don’t want to admit. Walk down the Strip at night, and you realize how effectively you’re enclosed by the city — you’d never know that beyond the walls of light there’s a vast desert. It’s good that Huber and Stern have been documenting the shifting contours of the city, even as it gets set to morph into whatever form it next needs to take just to pay the bills. A landscape architect’s vivid portrait of the ongoing struggles of one neighborhood, and one household, in post-Katrina New Orleans. I found the comparision of Las Vegas with Dubai thoroughly insightful and illuminating. One can not help wonder whether both of thier location in an arid desert is a coincidence or a matter of course? Perhaps the desert landscape itself, becasue of its harsh conditions and desolate-ness fosters such conglomerates of sanitized consumption and disneyfication. Perhaps because of these trends that define postmodern society, coupled with its location in the midst of a desert, Las Vegas has no choice but to become a grotesque spectacle. Although I've never visited, I've been strangely fascinated with Las Vegas for a few years now; it's like a nagging feeling that I forgot something, even though my instincts tell me I ought to do just that. With that in mind, I was hoping this article would provide a bit more insight than a book review. As for the previous commenter: is this the first time you've encountered the Dubai-Las Vegas comparison? In my experience it's the first thing out of just about anyone's mouth when discussing Dubai (a rare "given" where these cities are concerned). I'm not sure how valid the comparison is, ultimately.